Like every year the Icelandic broadcaster RUV is organizing a great national final with several Semi Finals which is called “Söngvakeppnin”. This is event is always enjoying a very high public interest. The fulminous winner, who has received the highest votes from the televoters and jury is María Ólafsdóttir with the song “Unbroken” – or “Litil Skref” in Icelandic. The composers Ásgeir Orri Ásgeirsson, Pálmi Ragnar Ásgeirsson, Sæþór Kristjánsson also known as StopWaitGo team have already had some Söngvakeppnin experiences from previous years. The 21 years old singer was born in Reykjavik in 1993. Since she can remember she is singing and in the age of 5 María has started with dancing. Her big idols were Whitney Houston, Celine Dion and Carrie Underwood. She is acting in musicals such as “The Sound Of Music” and “The Michael Jackson Show”. With her musical theatre experience she got in contact with the StopWaitGo team. The English song “Unbroken” is a kind of power ballad. The song is about a break-up of a lovely romance, one has to be strong and it will let get down by this. The most important point for María is that everybody understand her message. María’s strong and eclectic voice will stand out in this composition. She has a good stage performance so it can be described as a solid and powerful Icelandic entry with good chances for the Grand Final. In the Icelandic final María has performed her song barefoot. Maybe this can be seen as a good omen, as Sandy Shaw once sang in barefoot and won the ESC in 1966. It's always fascinating to see Iceland participating in the Eurovision Song Contest. The Icelanders have always followed the ESC with great enthusiasm, it was broadcasted a long time ago in Iceland. In 1986 the technical preconditions were ready that Iceland could participate for the first time with "Gleðibankinn" by Icy. This song has already got a cult status and it's being sung on almost every Eurovision party. In the short history, Iceland will have its 28th entry this year in Vienna. Iceland was able to reach the final 24 times and the Top10 five times! The chances to reach one of the Top10 places are statistically 16%. Two times Iceland has made the fabulous second place in 1999 and 2009. The most fascinating fact is that the creativity in this small country with only 320.000 inhabitants is so enormously high, that music from Iceland has become extremely popular. The most popular singers in general coming from Iceland are Björk, Sigur Rós and Mezzoforte. 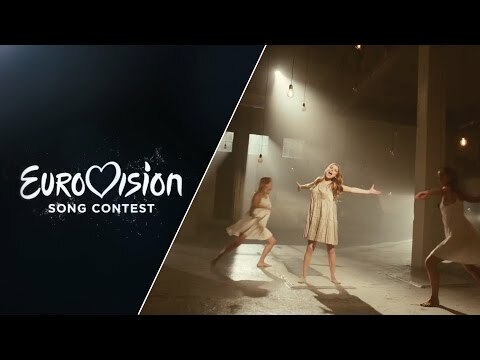 Not to mention the great singers and entries for Iceland in the Eurovision Song Contest such as "Hægt Og Hljótt" by Halla Magrét in 1987, "Open Your Heart" by Birgitta in 2003, "Coming Home" by Sjonni's Friends in 2011 and "Ég Á Líf" by Eyþór Ingi Gunnlaugsson in 2013. The Icelandic national final is called "Söngvakeppnin" and there is always a great interest in the Icelandic public, there are two Semi Finals and one big final. Due to the eagerness of the Icelandics, the stage performances are nearly close to perfect. The Icelandic entries have been sung in the Icelandic language until 1997 when it was only allowed to sing in the native language.